Amanhã começam os posts com o "cabelo novo" :p (ainda tenho um post muito antigo guardado, mas é demasiado fresquinho para este tempo, por isso vai continuar guardado). From now on, I'll start publishing looks with the "new hair" :p (I still have a really old post stored, but it's a little too much summery for this weather, so it will remain stored). WOW! I fall in love with your gloves! good bye to your nice nice hair I want to see the new outfits with your new hair! Lovely ootd and I can't wait to see more of the new hair :)! Adoro as luvas e os calções! I just discovered your blog and LOVE your style!!!! and I love that pair of shorts! Looking really cool my dear! Love how your gloves combines the whole outfit! Lately their are my new crush! Yours are really cool! Really interesting top! Love the skort so much! Everybody needs a change sometimes! And if you're haooy with a new hair cut then go! 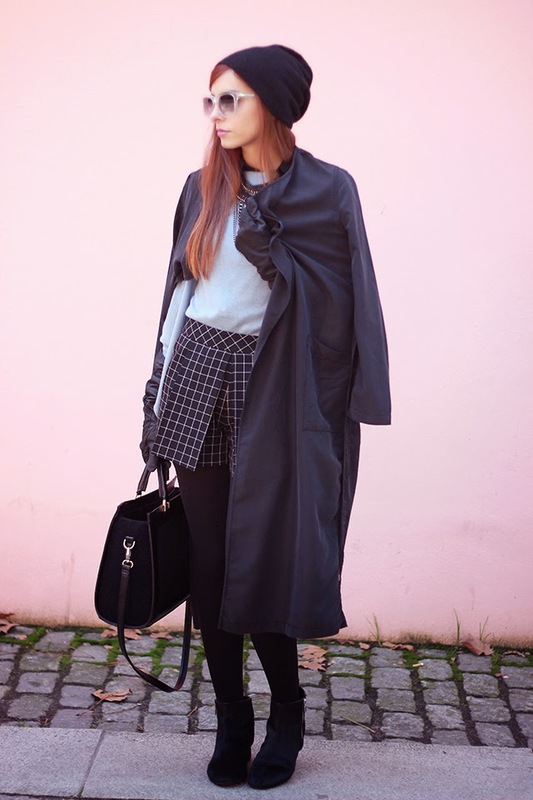 Engraçado como as luvas dão um toque tão especial a este look! haha, great start :) And I really like your cool outfit! the gloves look adorable! Mal posso esperar por ver as fotos de cabelo "novo" :). Love your top and the necklace!! Ai ai ai, que este é um dos meus looks preferidos! Estás linda, miúda! Yay - I love your new hair! I told you how much I like it on instagram. I can't wait to see pictures of your new hair here! In the meantime, wowza - your shorts are the cutest ever!!! LOVE love Love! re: I can't believe you barely get snow, you lucky girl you!! Yes, I chopped it off :p And dyed it darker.